Fayetteville is right in the middle of the Central Texas South golden triangle area and is approximately the same distance from Austin, Houston and San Antonio. Fayetteville is about an hour and a half drive from each of the cities. 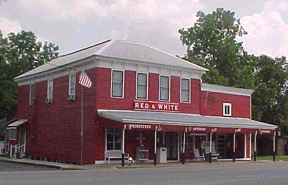 Fayetteville is located in the "heart of antique shopping" area. 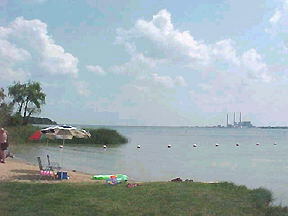 They have some of the "best bass fishing anywhere" in the 2400 acre Fayette Lake nearby. This is a great place to relax and get away from the hustle and bustle of city life. When you visit one time, you will want to go back again and again. 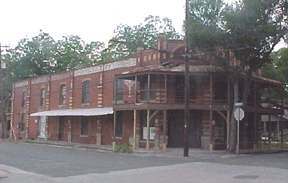 This settlement of Fayetteville was established by three families of Austin's Old Three Hundred, and was originally a stagecoach stop for travelers. 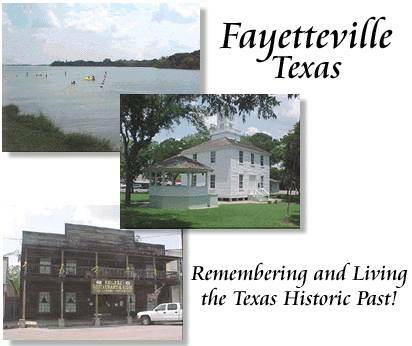 The town was named Fayetteville in 1844 and was later incorporated in 1882. There are many historic markers and plaques around the courthouse square. The photos above are the Fayette County Precinct Nr 2 Courthouse and the Hugo Zapp Building which was rebuilt in 1900. The Hugo Zapp building is presently being remodeled and will soon become the "Country Place Hotel". Looking for some great food? 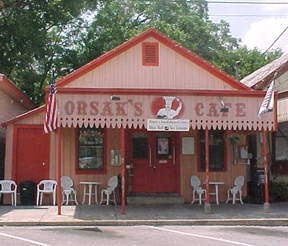 Try Orsak's Cafe on the square. All types of food are available and delicious ice cream for dessert. Some of the best antique shopping is found right on the square. The town's antique shows, citywide garage sales, merchants midnight madness sales are routinely scheduled, and "Country Christmas" in Fayetteville is an event you don't want to miss. Want to do a little fishing or boating? Fayette lake is open 24 hours a day year-round and is a great place for swimming, fishing, and boating. 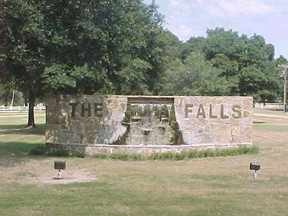 There are a number of golf courses a short distance away including "The Falls" Golf Resort which is known thoughout Texas. This guest cottage B & B is yours alone to enjoy. You will be just a few steps off the Fayetteville historic town square . Blisswood is more than just a bed and breakfast...it is also an enchanting setting for outdoor weddings, private and corporate retreats and company picnics on a working ranch of over 650 acres. Take a walking tour of historic Fayetteville. There are historic markers thoughout the town and places to see. Enjoy nature watching and photography at its finest. Bring plenty of film. Dine at the on the square or nearby restaurants. Relax in one of the bed and breakfast places or guest houses. Visit at least 6 different towns located within a 30 minute drive that have their own special offerings. Go boating and fishing at Fayette Lake - a fisherman's delight! 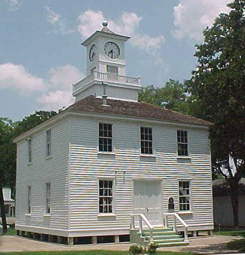 Visit the Fayetteville Area Heritage Museum - listed as "The Best Little Museum in Texas."